Embrace The Party Side of the Force with this Awesome Chewbacca Shirt! Leave a Comment on Embrace The Party Side of the Force with this Awesome Chewbacca Shirt! With Star Wars: The Force Awakens just a month away, fans are getting ready for the biggest movie release in years! In my opinion, there can never be too many Star Wars shirts. As a huge fan of the Star Wars license, I was extremely happy to see this awesome t-shirt featuring my personal favorite character, Chewbacca, from SuperHeroStuff! The shirt features Han Solo’s furry companion Chewbacca standing in front of a stylish 80’s-inspired design. The words “Party Animal” are written across the top of the shirt. As an owner of many Star Wars shirts, I can honestly say that this is probably my favorite so far! This humorous t-shirt is a must-have for Star Wars fans. 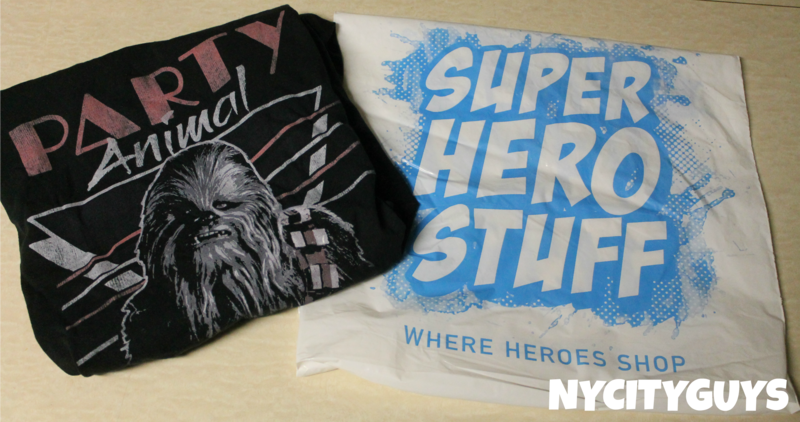 For more t-shirt reviews, along with coverage for all things Star Wars, keep it here on NYCityGuys! Next Entry Neon Joe: Werewolf Hunter Premieres 12/7 on Adult Swim!